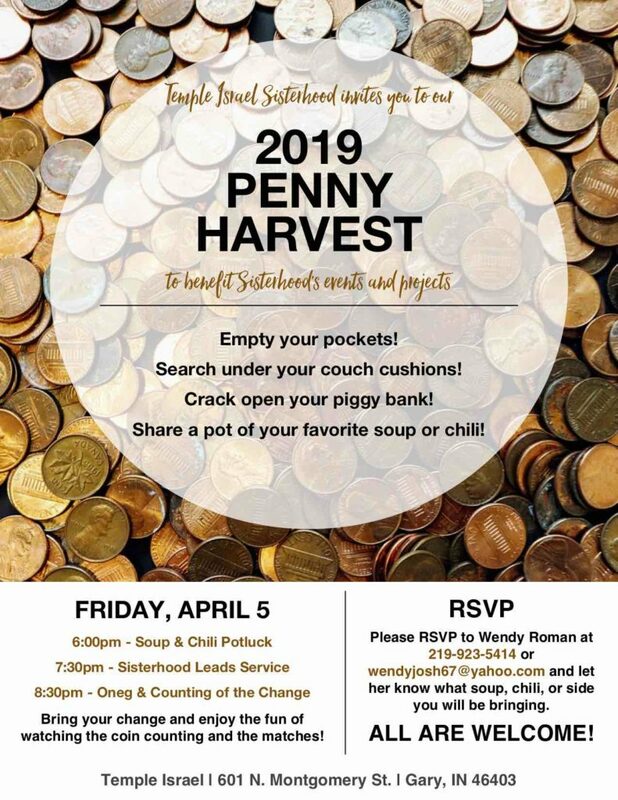 Temple Israel Sisterhood invites you to our 2019 Penny Harvest on Friday, April 5, to benefit Sisterhood’s events and projects. Bring your change and enjoy the fun of watching the coin counting and the matches. The soup & chili potluck begins at 6pm, followed by service at 7:30. At 8:30pm join us for the Oneg and the Counting of the Change! Please RSVP to Wendy Roman at 219-923-5414 or wendyjosh67@yahoo.com to let her know what soup, chili, or side dish you will bring. All are welcome!